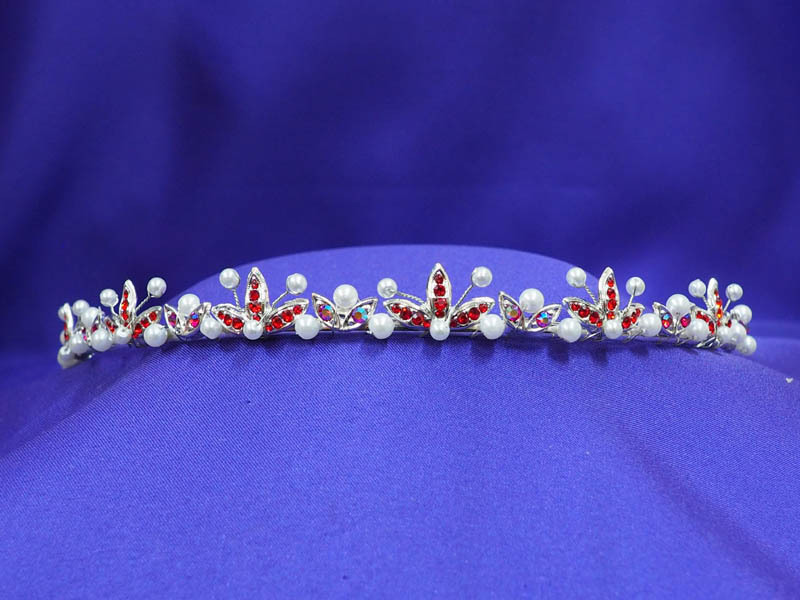 This gorgeous colored tiara features light marquis cut siam crystals, and faux pearls in a lovely floral pattern. Can also be worn as a headband or bun wrap. January's Birthstone: Siam is an engergizing stone that removes impure thoughts and promotes your spirituality!